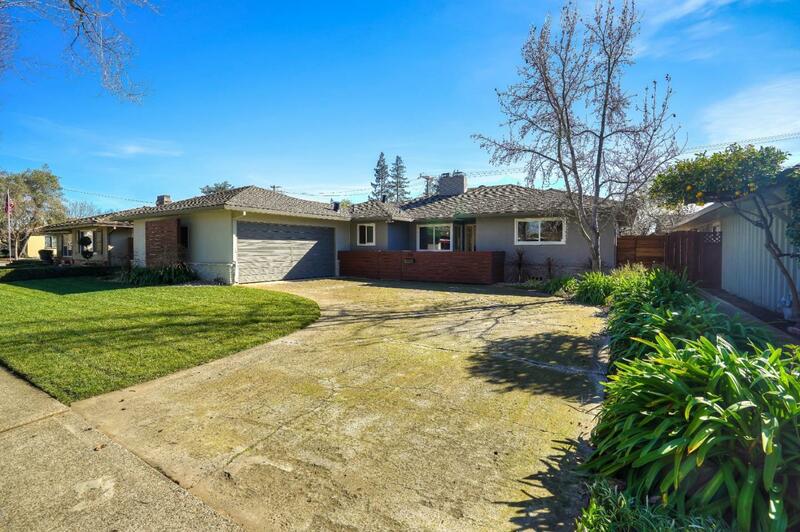 Here is a rare opportunity to own this beautifully maintained three bedroom, 2 bath single-level home in a coveted neighborhood. Enjoy the light and bright interior with two doors opening to the back yard. An updated kitchen offers stainless steel appliances, granite counters and custom cabinetry. A den with a bathroom is perfect for reading, games, study area or play room. The living and dining area overlook the lush back yard with mature fruit trees and an expansive deck. Side yard areas offer additional space for outdoor entertaining. Features include an updated hall bath and refreshed front and back yards. Dual-pane windows help maintain a comfortable temperature inside. The garage is finished with painted Sheetrock and a utility sink.